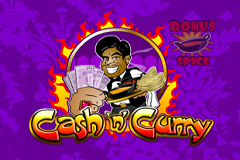 Cash N Curry is a 3-reel Poker machine that manages to combine 2 of the best things in life - money and Indian food. With a soothing purple hue to the game and images of yummy dishes to make your mouth water, this game is another classic from Microgaming, which not only ensures fair play, but also means it can be played with no download needed, across PC and mobile platforms alike. Unlike many traditional pokies, this one has a couple of bonus features to spice things up, like a board game, nudges that can be gambled and holds. Opening up Cash N Curry reveals a busy-looking game, filled with symbols, pictures of a waiter, the bonus game trigger and of course the 3 reels with their single payline. A nice touch is the ring of fire surrounding the waiter, something all fans of hot curries will be familiar with. It can be a little confusing on first acquaintance, but really there’s nothing here that doesn’t make perfect sense once you tuck into it. Understanding what symbols are worth is key to playing it, with some that will be familiar, like the Bar and 7’s, plus some related to the theme such as chillies, schooners of lager and naan breads. Payouts are displayed next to each symbol, and are multiples of the total amount bet per spin, with the ‘Any’ symbol being worth the least, and a ruby ring being worth 500x when it fills the payline. Choosing how much to stake is the next step, with just a single coin to activate, meaning players just need to decide how much that coin will be worth to begin. Anything from 0.10 to 10.00 is possible, which is a reasonable bet range that’s fine for most people, but high stakes gamblers may be put off by this relatively low maximum wager. As the reels spin, players will notice that random symbols have a little spice dish attached to them. Red, green and yellow dishes are the key to a bonus game that begins once the grid of dishes to the left of the reels has been lit up by getting 3 of the same type in any direction. Players are transported to a second screen that’s set out like a board game, with a fun image of a suffering customer who is struggling to fit all the hot food inside him. The waiter looks on in glee as the ‘coolant level’ (beer) goes down throughout the round and the customer’s face goes redder as the curry takes effect. The aim of this round is to move around the board collecting prizes along the way. Players can opt to collect the wins accumulated so far, or keep going for the bigger payouts as they progress up the board. Landing on a ‘Lose’ section, or running out of lager however, ends the game and forfeits any prizes, so it’s up to the player how much risk they want to take. The other bonuses with Cash N Curry are the randomly awarded nudges and holds. Nudges allow players to move a reel up or down to try and complete a winning line, while there is sometimes the option to bank them for the next spin, gamble them in the hope of a bigger prize, or repeat them. Holds are just what they sound like, with players able to hold a reel or 2 in position while spinning any remaining ones. 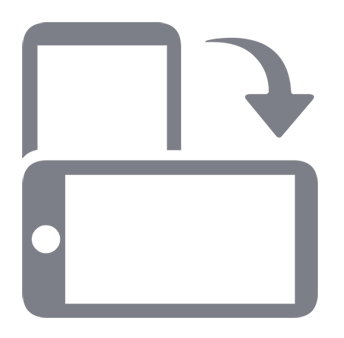 This gives them an extra chance of lining symbols up favourably, at no extra risk. Cash N Curry is a fun game that has some impressive features for a 3-reel pokie. It falls between the traditional fruit machine type game and the modern video Poker machine, but manages to be quite successful as well. Presented in the cartoon style that Microgaming are so adept at, it has some decent payouts and the bonus board game is a real treat, but players need to know when to quit, as getting to the end of the round without running out of beer or hitting a Lose spot will take a lot of luck. It’s a shame the maximum bet is so low, as it means a significant portion of players won’t give this game a second glance, and the inclusion of a wild symbol would perhaps have been nice. Other than these minor points, Cash N Curry hits the spot.